The results of the 2012 election are in, and the millions of people who signed petitions, called Congressional offices and otherwise protested SOPA (Stop Online Piracy Act) and PIPA (Protect IP Act) want to know: What does it mean for the Internet? 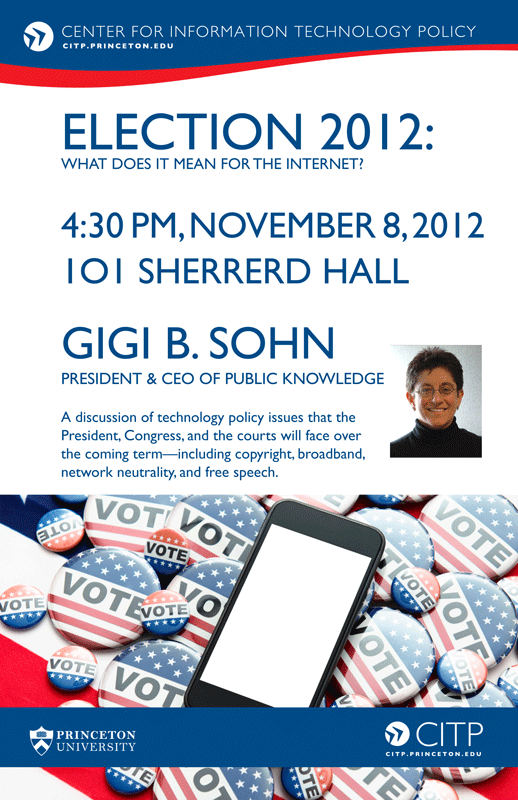 Gigi Sohn, President and CEO of the public interest organization Public Knowledge, will talk about what technology policy issues the next President and Congress will focus on over the next term. She will also discuss a number of critical technology policy cases now in the federal courts that could have a great impact on whether the Internet stays open and free. 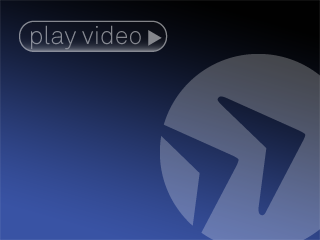 These issues include: copyright enforcement, copyright reform, broadband competition, network neutrality, data caps and the future of the first sale doctrine. She will also discuss the changing role of government in protecting Internet users.